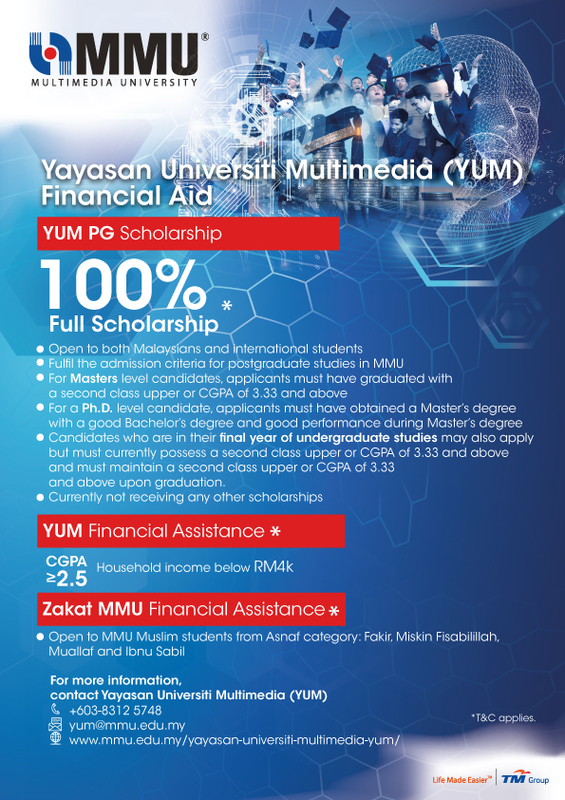 Registered on 12 February 2009 under the Trustee Act 1952, the Yayasan Universiti Multimedia (YUM) or the Multimedia University (MMU) Foundation aims to provide the best education with the best possible technology to truly worthy students. YUM is established as a non-profit organisation and enjoys tax exemption status in accordance to Section 44(6) of the Income Tax Act 1967.YUM is poised to generate more funds through the support and contribution from noble individuals and corporate organisations. 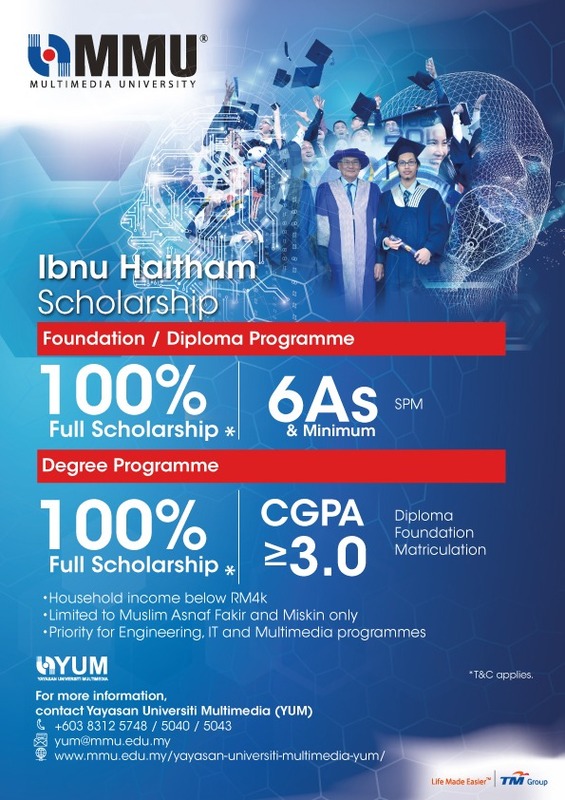 With the funds generated, other than providing financial aids for outstanding and deserving underprivileged students, YUM channels strategically in funding for the education via improvements in teaching and learning facilities and research sponsorships.YUM welcomes pledges of any size from all individuals and corporate organisations alike who share a common vision in supporting the nation’s quest for human capital of distinction to collaborate with us in this noble cause.